I added a new product to my In Flight Skin Care regimen. Flying from Miami to Los Angeles is not pretty if I don’t hydrate my skin throughout the flight. My face would never make the flight to Paris if I didn’t pack my must have skin care bag. I want to look hydrated, radiant and plump not dry and dehydrated upon arrival. I recently discovered Evian Natural Mineral Water Facial Spray and quickly became a fan obsessive fan in seconds. You might be thinking “Great, you are spraying water on your face, what’s the biggie?” This Evian Facial Spray isn’t just a facial spray, each one second spray releases several million micro-droplets infused with minerals to hydrate and instantly refresh your skin. Its important to me to know that this facial spray is propelled by safe nitrogen, creating a unique and exquisite fine mist. I show you just how fine this mist is in my video below. Makeup Expert Tip: You can use Evian facial spray to mix and blend make-up. There are many ways I can incorporate my new Evian Facial Spray into my skin care routine and it doesn’t just have to be when I am flying. Here are some ways you can use the Evian Facial Spray to refresh your skin or hair. You can use it after cleansing your skin before applying moisturizer to seal in the Evian mineral hydration. You can use Evian Facial Spray during the day over your make-up for a little refreshing pick me up. You can enhance and set your foundation. The fine mist evens out your complexion and creates a completely natural look. Here is a styling tip that I was thrilled to learn about. If your hair needs a little pick me up after work, spray hair and restyle with or without heat. Voila! You are now ready to take on an impromptu happy hour. You don’t have to worry about getting your hydration through the airport security. Evian Facial Spray comes in three convenient sizes. Choose from flight approved 1.7 oz for the car, gym bag or purse. 5 oz Perfect for the Office when you are staring at the computer way too long. 10 oz Best buy for at home to put on your vanity, in your bedroom or nursery. 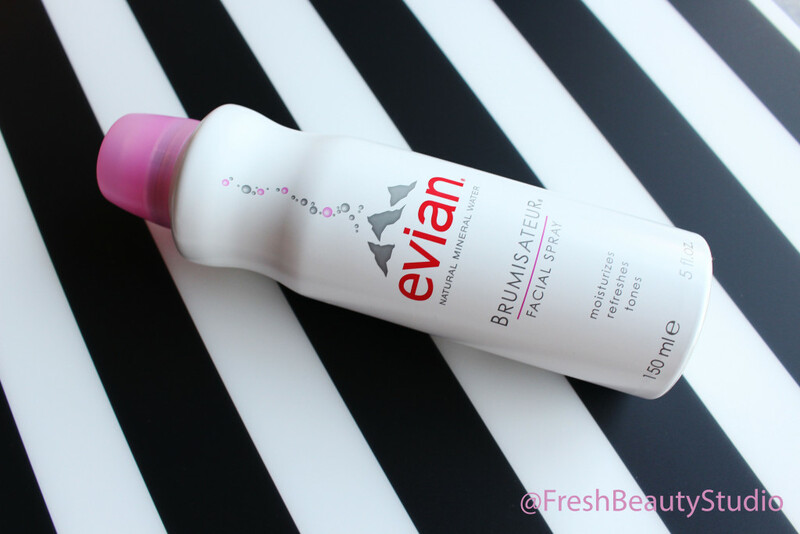 I am sure this Evian Facial Spray Review will help you while choosinf a facial spray. Product provided for consideration by Evian with no agreements or obligations to feature or review.